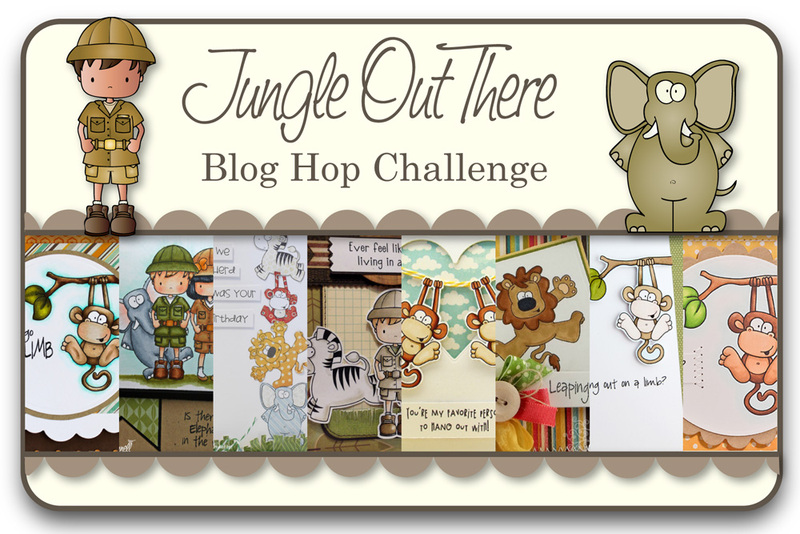 When I saw this weeks inspiration photo at the Inspired By challenge blog, I immediately thought of 'Jungle Out There' set (TSG) that will be released on Saturday. I LOVE the expression on his face! I hope someone blow up the candle before he get burned!! LOL! You LOVED her Zoo-pendous set, and well, everything else she has created, but I REALLY think Melyssa has KNOCKED this one out of the park!! Whether making a card for a boy or girl, man or woman, or scrapbooking your latest trip to the zoo, there is something in her new Jungle Out There set for you!! Full of the CUTEST animals, and most HILARIOUS sentiments, what’s NOT to love?? Would you like to win the new Jungle Out There stamp set? You will not know which blog has been chosen so the more you comment on the better your chances are of winning new stamps! The Blog Hop Challenges will be open until 5 PM Eastern Time Saturday, March 31st with the winner being announced during the release party chat. The stamp set we are showing you today is called When I Grow Up! I think we can all remember back to a time when we idolized our parents, most of us still do, and we wanted to grow up to be JUST like them. I mean, what girl HASN’T put on their mom’s shoes, and what boy hasn’t worn Dad’s tie? This set is just in time for Mother and Father’s Day!! 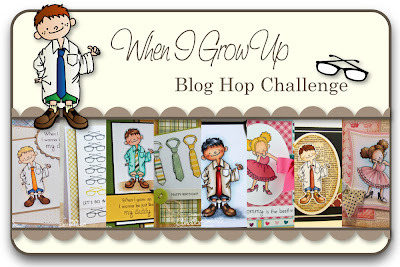 When I Grow Up is a 4x6 set that includes a total of 15 stamps and will sell for $15.00. 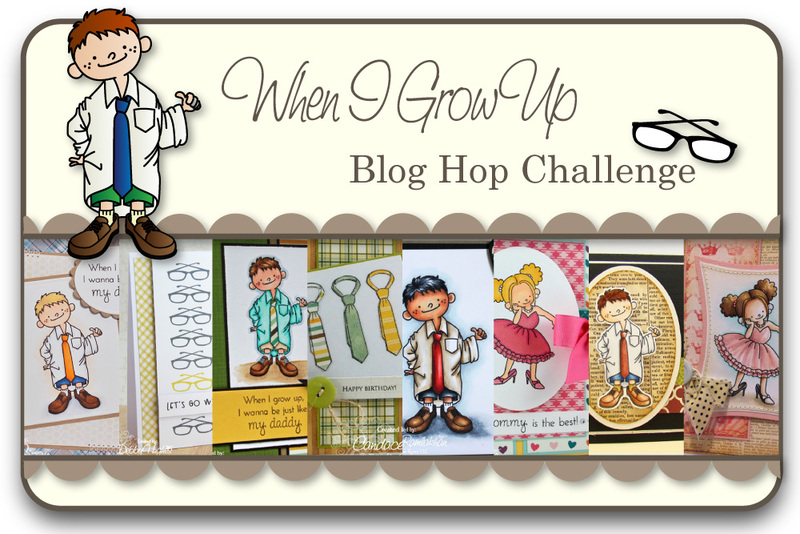 Would you like to win the new When I Grow Up stamp set? Just a quick post to share a card that I made for this weeks Sweet Sunday Sketch Challenge (SSSC155). 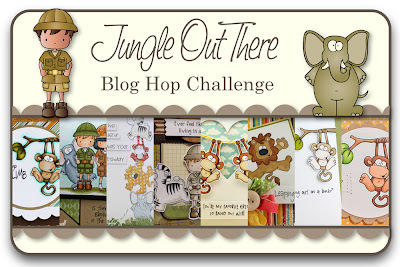 Welcome to Day1 of this month's TSG Blog Hop Challenges! Ruh-roh is a 3x4 set that includes a total of 9 stamps and will sell for $7.00. There’s a puppy in this mini set, and he is up to no good!! With several stamps to create a scene, and 5 adorable sentiments, this set is a must have for anyone who has EVER had to say they or sorry…..and I doubt that excludes ANYONE!!! 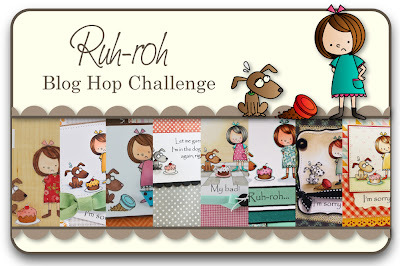 Would you like to win the new Ruh-roh stamp set? For today's card, I combined two challenges below. Here is the inspiration card at this weeks CASE Study Challenge, which was created by Laura Bassen. I loved the simple layout of Laura's card, so I kept it. But I couldn't help me adding some ribbon and a bow on the top part of the popped up pannel. This week is a TSG (Again!) week over at the TSG blog, and we are featuring Tweeterpated, Flowers Of Happiness, Hunny Bunnies and Bear Hugs this month. Today we, Trendsetters are showing 'new' cards using these sets. I used Flowers Of Happiness for today's card. Make sure to stop by the TSG blog to see more beautiful works from Trendsetters! I have a quick card to share with you today. Thank you for stopping by. Have a happy crafty day! This weeks challenge at the TSG blog is brought to us by our Trendsetters! We are challenging you to make a card or project with an Easter theme, but using animals. As it's the week before release week, it's a TSG (Again!) week where we are featuring a couple of the older TSG stamp sets on the TSG blog. 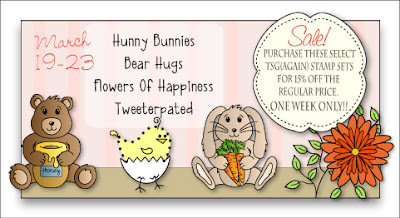 This month's sets are Bear Hugs, Hunny Bunnies, Flowers of Happiness and Tweeterpated. So I picked up a sweet chickie image from Tweeterpated set for today's card. To be eligible for the giveaway, create a card or project using Easter and Animals, and then go back to the TSG Blog to add your name and a link to your project in the InLinkz that is located at the bottom of the challenge post. This challenge is open until the winner has been announced on the following Monday (March 26th). The winner will get a $5 gift certificate to use in the TSG Web store! You do not need to have a blog to be able to participate in the TSG Challenges! 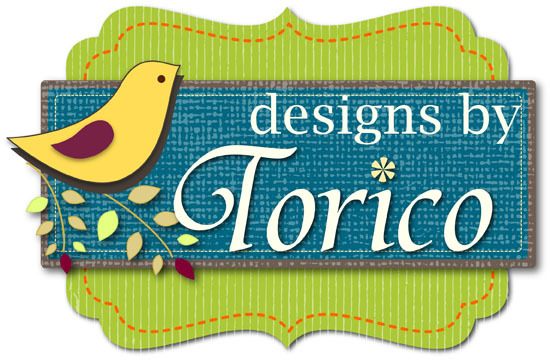 You can simply add the URL link from your project after it has been uploaded to your online craft gallery. If you upload your card to an online craft gallery, please use the keyword TSG148 so we can check out your beautiful work! 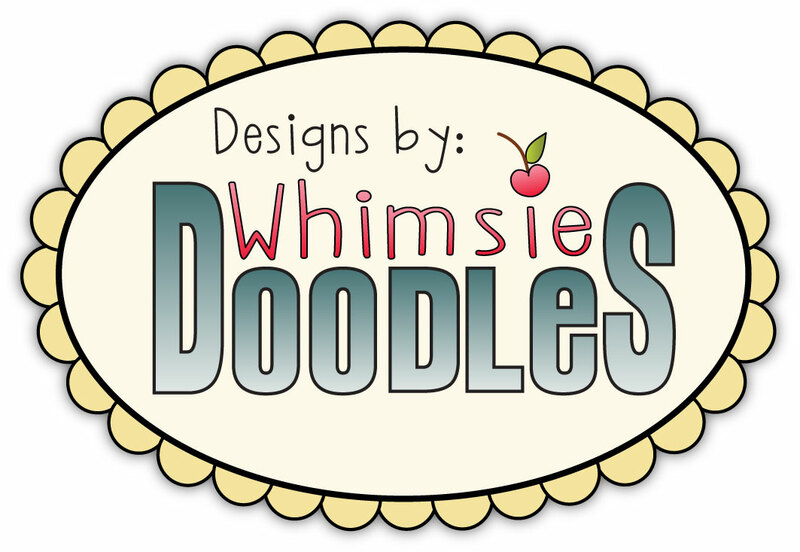 I added three new digital stamps to my Etsy shop today, so I'd like to share my sample cards for them. I'm entering this card to this weeks Digital Tuesday Challenge, which theme is 'Think Spring'. For this card, I used Karen's sketch from Sweet Sunday Sketch Challenge (SSSC154). Thank you for visitting. Have a wonderful day!